The Internal Revenue Service charged taxpayers with $88,576 more in penalties than it should have, according to an audit from the Treasury inspector general for tax administration. The IRS keeps track of individuals and businesses that have an outstanding balance at the agency and as of September 29, 2015 there were 9,145 of these accounts. Of these, 7,497 had an outstanding balance, 253 had a credit balance, and 1,395 had fully paid their balance and were waiting for their account to be closed. The IRS uses a combination of manual and systemic computing to determine a failure-to-pay penalty, which is the amount in penalties and interest an individual or business should pay if they have an outstanding account at the agency. 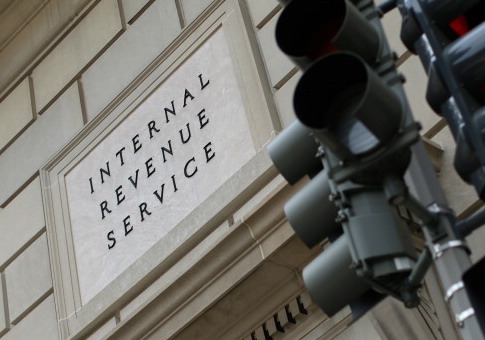 Auditors found that the IRS had errors in their computing formula. "Our analysis of the open Automated Non-Master File accounts as of September 29, 2015, identified errors in the formula the Automated Non-Master File uses to calculate penalties," the auditors said. "The IRS overassessed failure to pay penalties totaling $88,576 on 153 open accounts and underassessed failure to pay penalties totaling $354,153 on 227 accounts." In addition, the IRS did not apply a penalty to 85 accounts, which would have totaled more than $1.7 million in penalties. "For 338 of the 380 accounts we identified, IRS management indicated that the formula the Automated Non-Master File uses to compute the failure to pay penalty did not include all of the elements needed to correctly compute the penalty for accounts," the report said. The agency said it would review these accounts and recompute the failure-to-pay penalty. "Programming changes will be necessary for correcting many of the conditions identified during the review," said Kenneth Corbin, commissioner of the Wage and Investment Division at the IRS. "The IRS has taken actions to implement immediate improvements to manual processes that are not dependent on programming updates." "The most efficient way the IRS can address the errors that TIGTA identified in the Automated Non-Master File is to continue to enhance the Master File to further reduce the need to manually maintain taxpayer accounts on a separate taxpayer account system," said J. Russell George, Treasury Inspector General for Tax Administration. "Until additional enhancements can be made, the IRS should establish processes to periodically verify the accuracy of Automated Non-Master File accounts."